Welcome to Chimney Lake, One of the best planned communities in North Georgia. 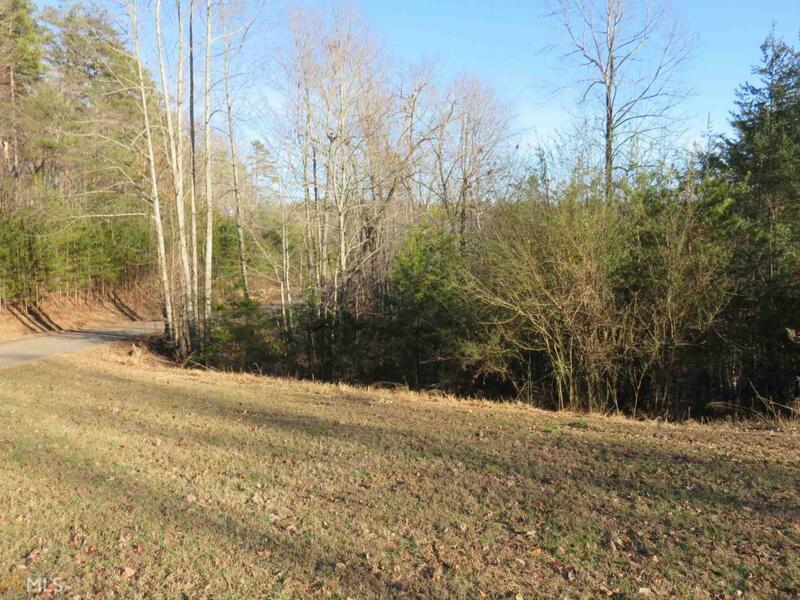 Enjoy 26 acres dedicated to amenities including walking trails, a 5-acre lake, pavilion, and covered bridge. Enjoy the tranquility and peace every day with an abundance of wildlife including deer and turkey. The lake is stocked for great fishing. Less than 2 miles to downtown Cleveland. So convenient to the National Forest, parks and Alpine Helen. You will love to come home! This lot slopes off the road, conducive to home w terrace level. Annual dues are $500/yr.